CNN likes to think of itself as the most trusted name in news, but only if you take “trust” to mean “most laughed at.” However, they do occasionally get the story right. It takes a great deal of effort to get it wrong all the time, after all. This time, they especially deserve props for getting it right because they’re talking about guns. In particular, a report regarding the alleged surge in gun sales following a mass shooting. 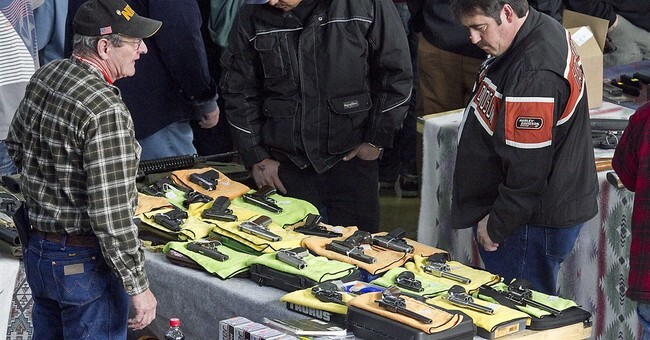 Despite conventional wisdom, gun sales do not always spike after mass shootings. In fact, as two economic researchers, we observed no spike in sales following this year’s two mass shootings — Las Vegas, the worst in modern US history, and Sutherland Springs, Texas, the fifth worst. 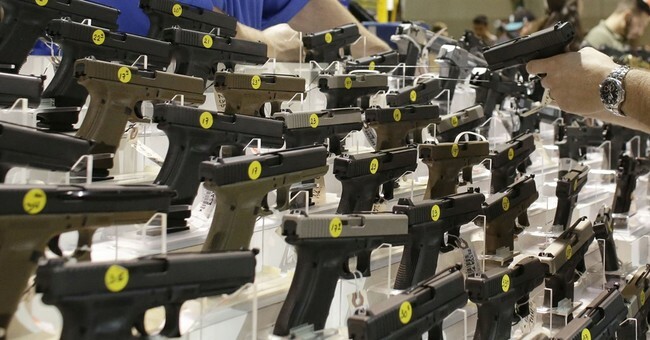 However, following the Sandy Hook school shooting in 2012, there was a significant spike in sales — 3 million additional guns sold from December 2012 to April 2013, according to our calculations based on FBI criminal background check data. And after the San Bernardino terrorist attack in 2015, there was also a spike — 1.7 million additional guns sold from December 2015 to February 2016. So why the discrepancy in sales? Based on our research, going back to 1998, dramatic spikes in sales occur when a mass shooting takes place in a political environment where it is plausible that federal restrictions on firearms sales may result. When President Barack Obama’s administration prioritized reducing gun violence, there was a real fear of gun restrictions among gun owners. At other times, and certainly now under Donald Trump’s administration and with a Republican-controlled Congress, there simply isn’t the political will to put in place gun control measures. Instead, what happens is that the event happens and then politicians start talking about needing to do “something.” This is the inevitable cycle. When things change is when the anti-gun party has control of the White House and/or at least one chamber of Congress. That creates a sense of urgency in people’s minds. While they had no interest in a given gun because it killed school children, country music fans, or Texas Christians, they do start getting an interest the moment you tell them they can’t have one for much longer. At that point, that changes everything. There’s a reason that Barack Obama was referred to by many as the gun salesman of the year for eight years running. He really was. His mere presence in the White House pushed tens of thousands of buyers into gun stores where they might have been a bit more hesitant otherwise. There was a sense of urgency, an idea that you had to buy now because you couldn’t later. Then, when a mass shooting took place, that urgency went into overdrive. Gun owners aren’t monsters. None of us look at tragedies like Las Vegas and think of them as a proof of concept demonstration. We don’t look at it as marketing. After all, those events are completely irrelevant in that regard because none of us are going to use them in a similar way. It’s just that simple. For once, a mainstream media outlet shows where the issue is. If you want to stop buying frenzies for guns, stop trying to ban them in the first place.